Let us now labor over Victorianism. 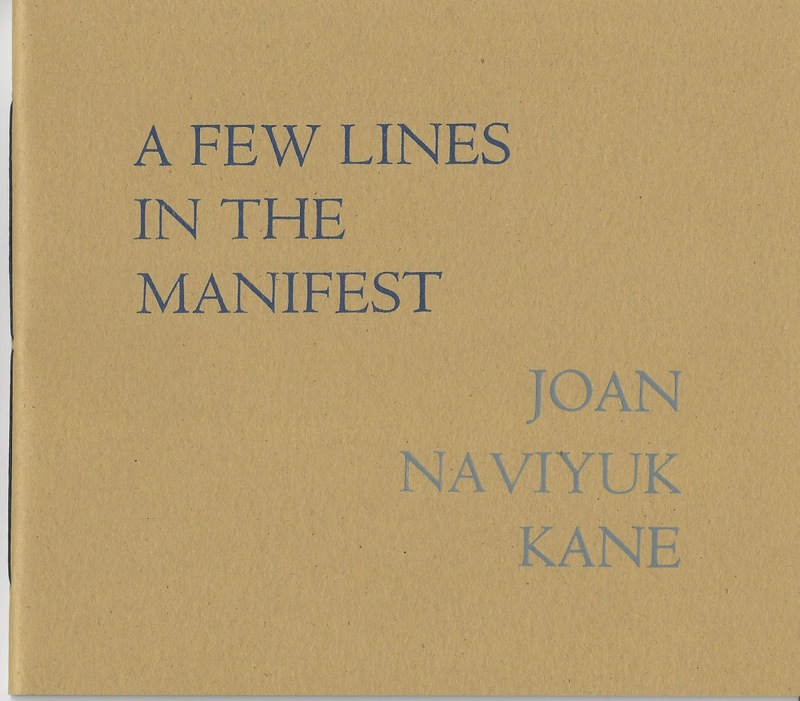 Inupiaq American poet Joan Naviyuk Kane’s latest is the stunning A Few Lines in the Manifest (Philadelphia PI: Albion Books, 2018), produced by Brian Teare’s Albion Books in an edition of one hundred and fifty copies [see further of my reviews of Albion titles here, here, here, here and here, as well as publisher Brian Teare’s “12 or 20 (small press) questions” interview here]. 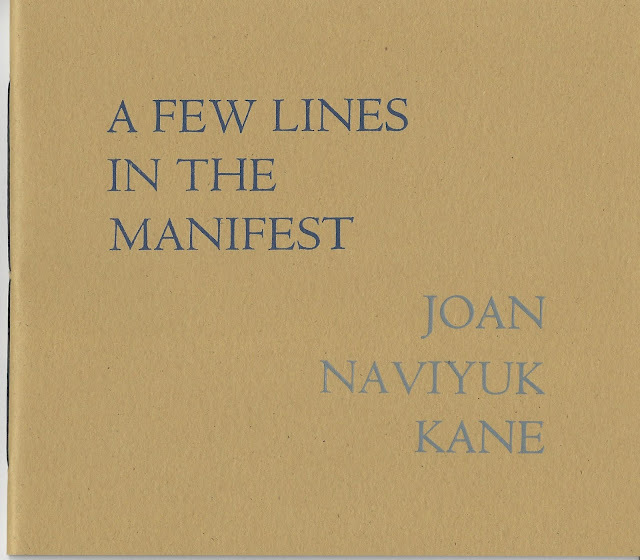 Compiled as four lyric essays—“NIĠIPIAQTAVIIN? / DO YOU EAT REAL FOOD?,” “I AM CHOPPING IVORY OR BONE,” “THE BROKEN LINE” and “CITATION IN THE WAKE OF MELVILLE”—Kane writes on history, culture, displacement and poetry in a remarkable quartet of pieces that ripple outward from the core of her own centre as Inupiaq, and her mother’s traditional home of King Island, Alaska. As she discusses, King Island is an island in the Bering Sea abandoned in the mid-1900s due to forced relocation via the Bureau of Indian Affairs.